The Case Western Reserve University men’s football team stormed the field, winning 49-23 against Grove City College last Saturday, Sept. 15. The Spartans started the game out strong with two touchdowns from second-year wide receiver Colt Morgan in the first quarter, putting them ahead 14-0 going into the second quarter. Sam Jenkins, a third-year running back, notched a rushing touchdown to widen the score to 21-0. Second-year running back Zach Hall ran for a 22-yard touchdown, putting the Spartans further in the lead at 28-2. In the last few minutes of the first half, the Wolverines pushed back hard, scoring their first touchdown of the game right before halftime, putting the score at 28-9 going into the second half. Morgan opened the second half with another touchdown, putting the score at 35-9. Later, receiving yet another pass from first-year quarterback Drew Saxton, Morgan scored his fourth touchdown of the game, extending the Spartans’ lead to 42-9. 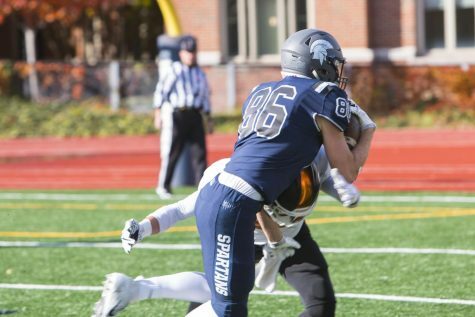 Morgan’s four touchdowns in the Grove City game makes him tied for the CWRU record for most receiving touchdown passes in one game, set in 2002 by Spartan alumnus Jason Cellura. Going into the fourth quarter, Grove City got some momentum from third-year quarterback Randall Labrie. 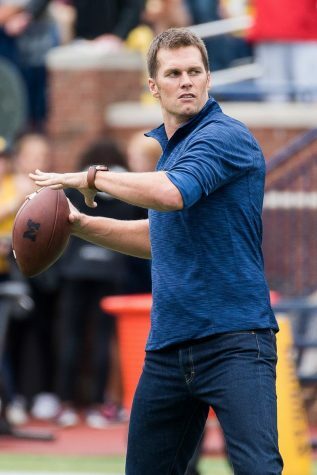 The Wolverines scored two touchdowns to put the score at 42-23. First-year running back Donald Day III scored the last Spartan touchdown of the game, bringing the final score to 49-23 with a successful kick from first-year kicker Robertson Albrecht. This was Day’s first collegiate score, and it locked up the Spartan win. The Spartans ended the game with 373 passing yards and 151 rushing yards. Saxton threw for almost all those passing yards as well as the five touchdowns during the game. Third-year students Isaac Withrow, an inside linebacker, and Luke Bedell, a cornerback, set personal records throughout Saturday’s game. Withrow had a career-high of 10 tackles in the Grove City game, and Bedell recorded a career high with four pass-breakups. CWRU had 514 total yards throughout the game, but Grove City didn’t fare as well. The Spartan defensive unit kept Grove City to 387 total yards, both in the air and on the ground. Among the accomplishments of the defensive line, Bedell had six tackles and fourth-year defensive end Cameron Brown had six tackles and one sack against the Wolverines. The Spartan team this year has a lot of very capable first- and second-year players, and Debeljak won’t let inexperience hold them back from showcasing those talents on the field. 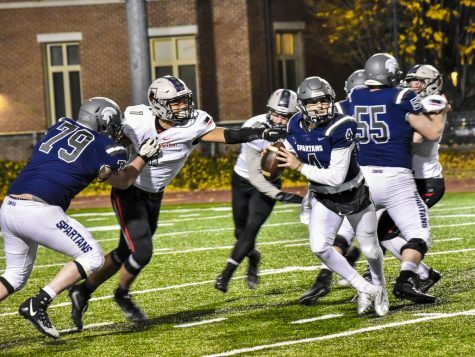 The Spartans have plenty of games left to make improvements, grow and learn as they move up in the Division III rankings and defend their Presidents’ Athletic Conference title throughout this season. According to D3football.com, which ranked the Spartans No. 22 at the beginning of this season, CWRU has moved up to No. 18 overall in Division III. The Spartans will play their next game against Thiel College at home on DiSanto Field Saturday, Sept. 22 at 7:00 p.m.